"Happiness is letting go of what you think your life is supposed to look like and celebrating it for everything that it is"
What is your definition of happiness? I love this quote because happiness to me at this stage in my life is all about acceptance. It has taken me such a long time to come to this conclusion and I have to say, it is life changing. I've learned throughout the last few years so much about accepting things that I can't control around me and just being happy with the here and now. I've also learned to be present in the moment and not let distractions affect me. 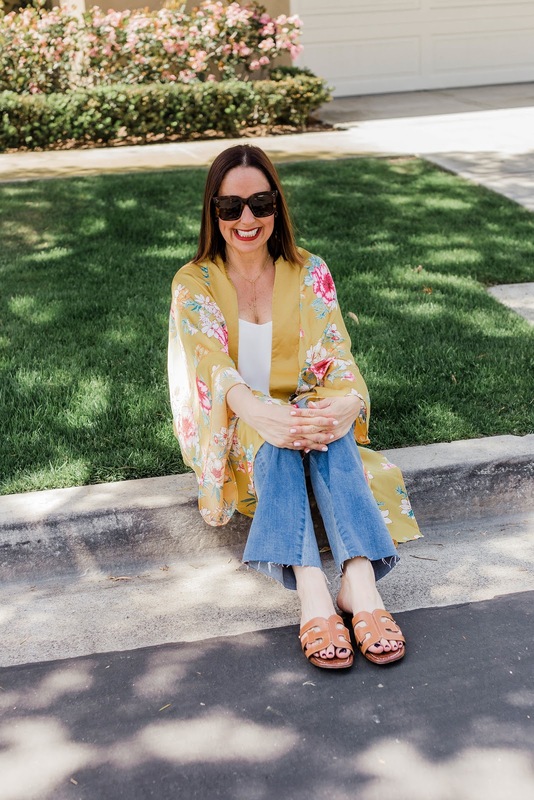 When I'm with my kids, and my hubby, I try to put the cell phone away and really listen and be present in the moment. This also goes for my blog. I absolutely love blogging and it makes me so happy. Just hanging out with some wonderful women I have met, attending events or writing my posts, I'm really trying to take it all in and enjoy it in the moment. What are your views of happiness? How do you balance it all? 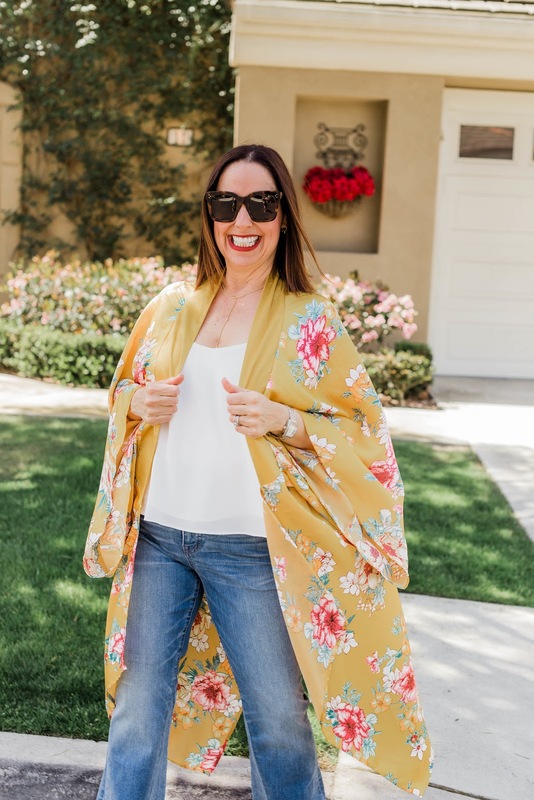 This kimono makes me happy, and I tried pairing it with a wider leg jeans for a change. And I added these cute flats that I think I will be wearing all spring and summer long. Thanks to Gabi Wells for photos. 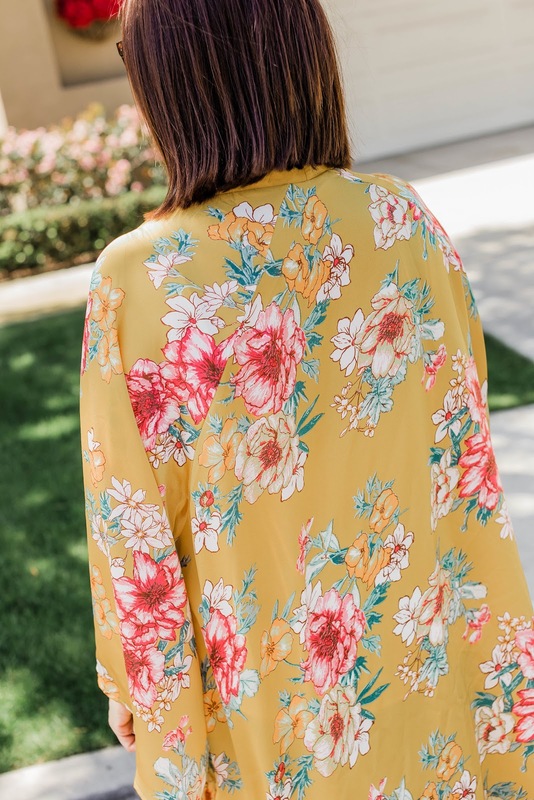 You can shop this look by clicking the links above. Happy Reading!!! YOU make me happy as does our fabulous friendship!! 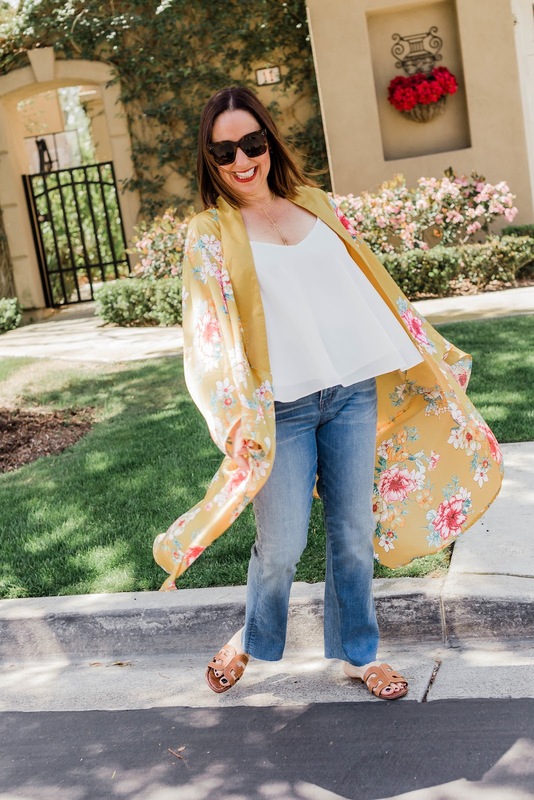 Love you and LOVE this cute kimono on you gf!